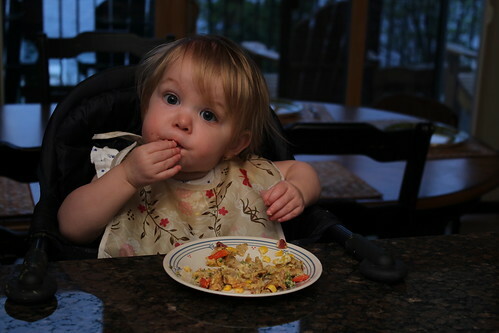 Modifications: I doubled this, since we were feeding 6 – we’ve made the original recipe twice and it is JUST enough for 4 adults and 1 toddler. We had a few leftovers. 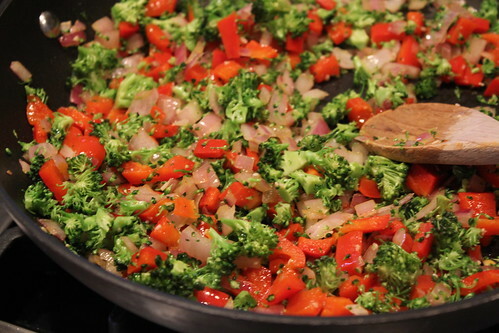 I used: red pepper, broccoli, red onion and corn for the veggies. I chopped the veggies REAL small to try to get the maximum amount hidden into each bite since Annie has the habit of picking out the egg and bread pieces and leaving the vegetables. 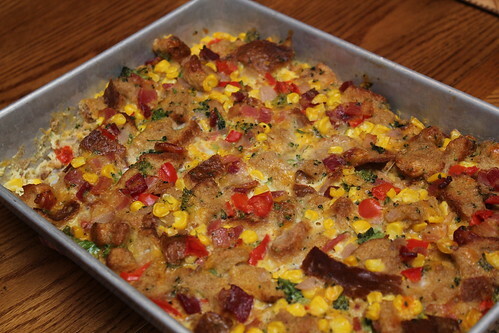 Notes: This is a really good basic breakfast casserole recipe that you can change to suit your fancy. I also baked Lemon Blueberry Scones to go with these. 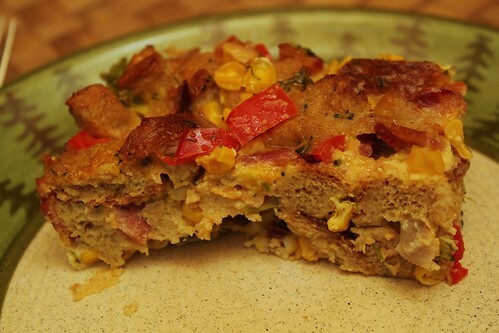 This entry was posted in bacon, breakfast, broccoli, cheese, corn, eggs, one dish meal, red pepper. Bookmark the permalink.